MOVE IN READY! SELLERS LOWER PRICE AGAIN - READY TO SELL! 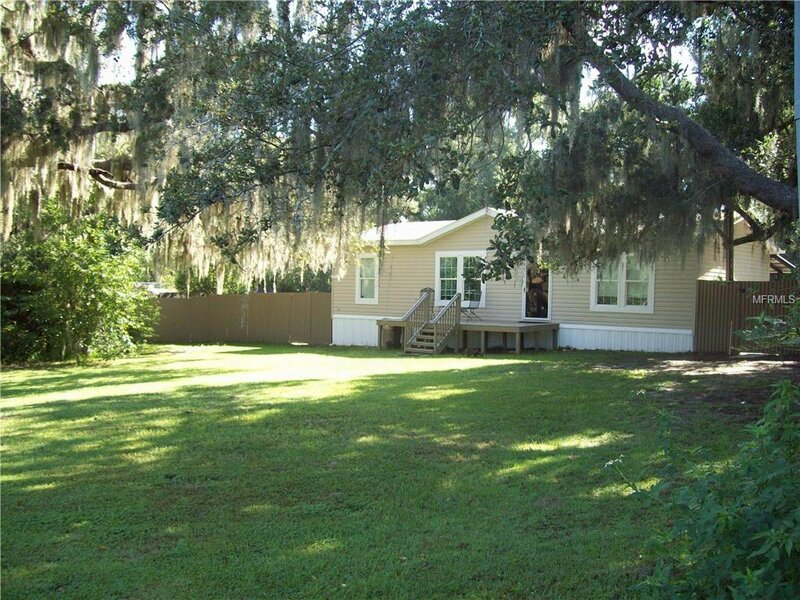 3BED/2BATH 2016 DESTINY MANUFACTURED HOME with approximately 1,200 sq. ft. ALL APPLIANCES INCLUDED. Very quiet and PRIVATE 0.67 acre lot at the end of a dead-end road. Property includes: View of Lake Indigo, 30 year Ondura privacy fence, front deck (8ft x 16ft), rear porch/deck (12ft x 40ft) with 30ft under roof, 22-ft ROUND SWIMMING POOL, fire pit, 8X8 SHED and lovely oak trees. NEW WELL 2015. Septic tank serviced in 2018. 20 minutes to Leesburg and Clermont. 45 minutes to Orlando and attractions. 1 ½ hours to either coast. Included with purchase: Microwave oven**Toaster oven**Whirlpool washer and dryer**Refrigerator**Electric stove/oven**12HP riding lawn mower**52 inch JVC TV. Upgrades include: 3 ½ TON BRYANT AC – HEAT PUMP (Ten year warranty), Underground power, Drywall interior walls, Crown molding in living room, kitchen, and master bedroom, Ceiling fans in living room and bedrooms, No-seam laminate flooring, Double pane windows, Extra window in each bedroom, Window blinds, Six-foot rear sliding glass door, Kitchen and bathroom , faucets (bath faucets light up when in use), Walk-in shower in master bath, and Increased Roof insulation. Furniture MAY include: Large Catnaper sectional sofa with two recliners, Glass tv stand, Four shelf glass organizer stand, Glass coffee table, Computer desk and chair, Futon (new), Dining High-boy table and six stools, Box freezer, small refrigerator with glass door, Six-piece bedroom set, gas grill. Listing courtesy of 3% REAL E$TATE. Selling Office: PALMS REALTY.